At a glance, the AIM wrench looks similar to the NCStar branded tool which I've had run-ins with in the past. NCStar are widely known in the gun world for cheap, sub-par products that fall into the "walmart grade" category. I've seen several NCStar wrenches fail miserably during barrel nut changes and free float tube installs. I can't comment on whether it's a re-branded product or not, so we'll have to rely on its performance alone and hope for the best. The wrench covers all of the basic functions you'd expect. 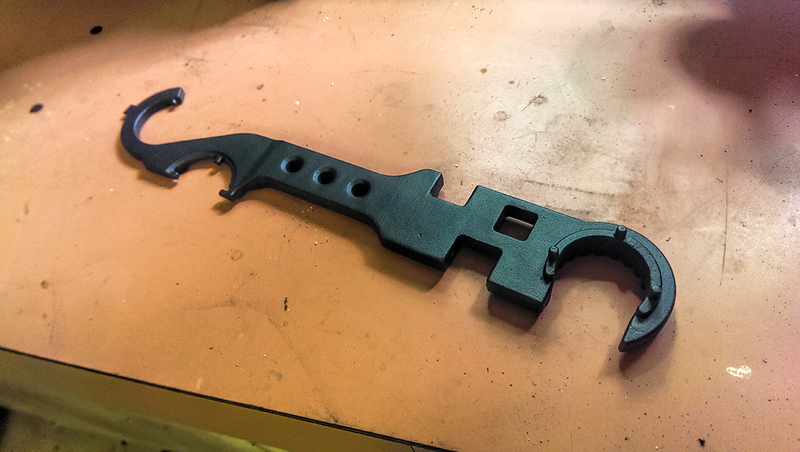 It's noticeably thicker around the torque-heavy areas forward of the grip, matching similar wrenches in profile. The barrel nut teeth are well defined and deeper cut than the aforementioned DPMS wrench, while the pegs on the flip side are shallower but equally sturdy. I've known plenty of people to shear those pegs through either stubborn free float tube barrel nuts or misuse on a standard barrel nut. Being the type to push limits I decided to see how sturdy those pegs are and intentionally misuse it for science. Don't do this, use the standard barrel nut teeth! After several removal and installations the wrench pegs survived improper use just fine. Always be wary of extremely tight or loctited barrel nuts that can shear these pegs, however. I completed two AR builds and have had to disassemble and reassemble the barrel on an A1 retro build several times now to shim the index pin. 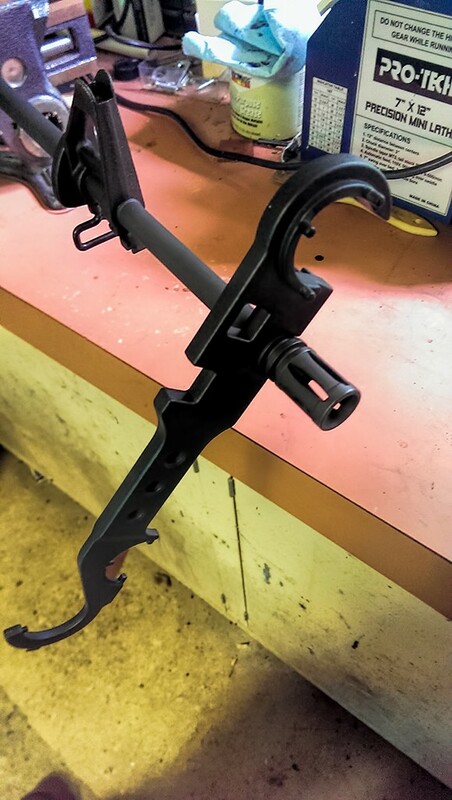 Throughout this process the wrench has performed admirably, with only a few scratches in the powder coated finish to show for it. Snugging up the A1 birdcage. 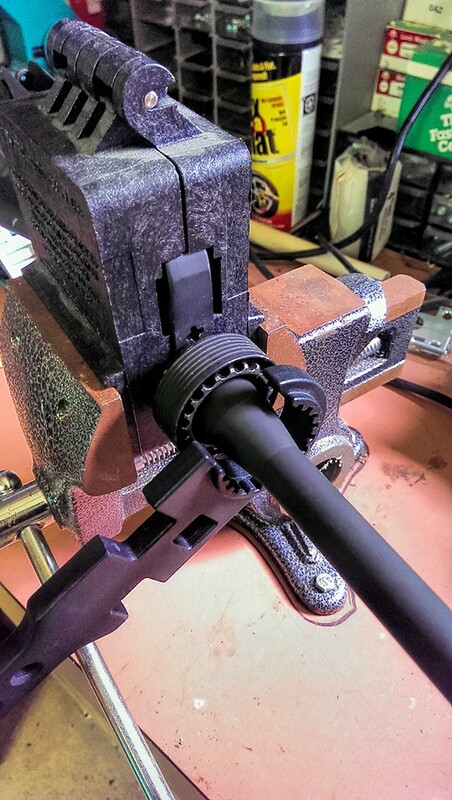 The AIM Sports wrench seems like a sturdy, low-cost wrench for those looking to get into building their own AR-15 or someone in need of a couple spares around the shop. It's held up well, but I'll continue to use and abuse it to test its limits. It's a step up in quality over the old, hideous DPMS wrenches while staying under $25.